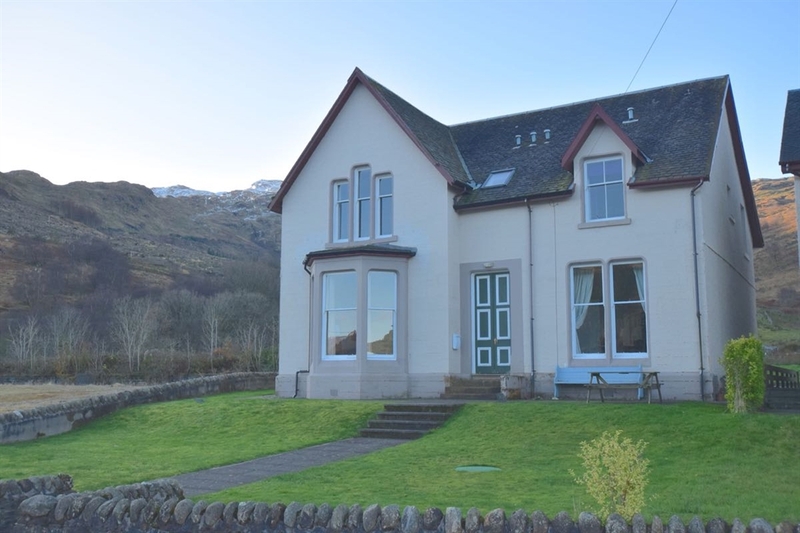 A spacious holiday home perfect for family or friends in a get-away-from-it-all location overlooking Loch Goil in the Loch Lomond National Park. Piano player in your party? 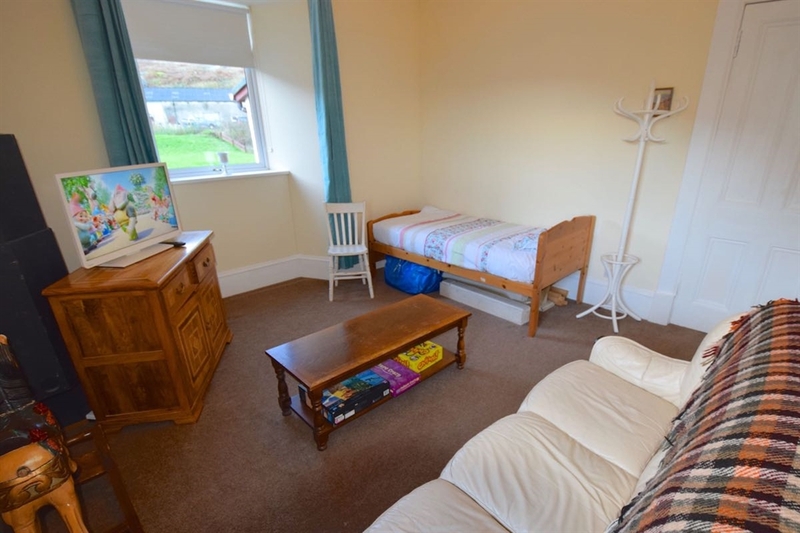 The baby grand in the lounge is a nice touch. 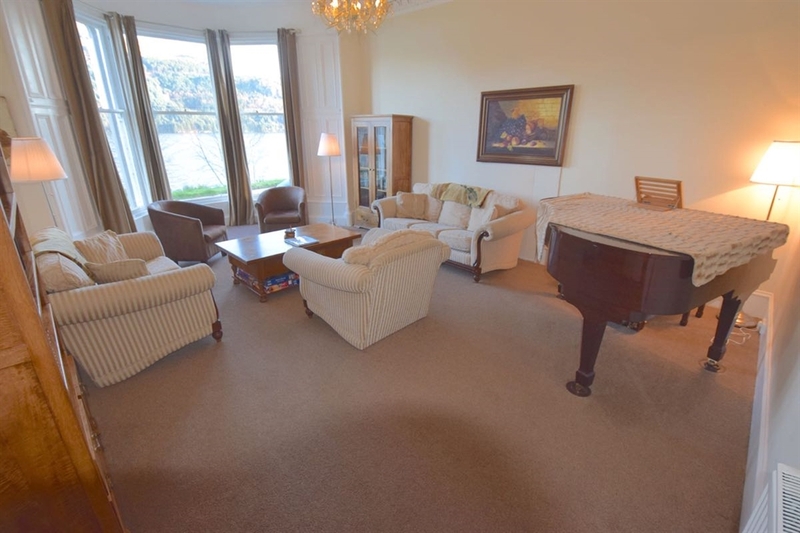 4 bedrooms ● Sleep 9 ● Wi-Fi ● Dog Welcome ● Refurbished villa in the shoreside village of Carrick Castle. 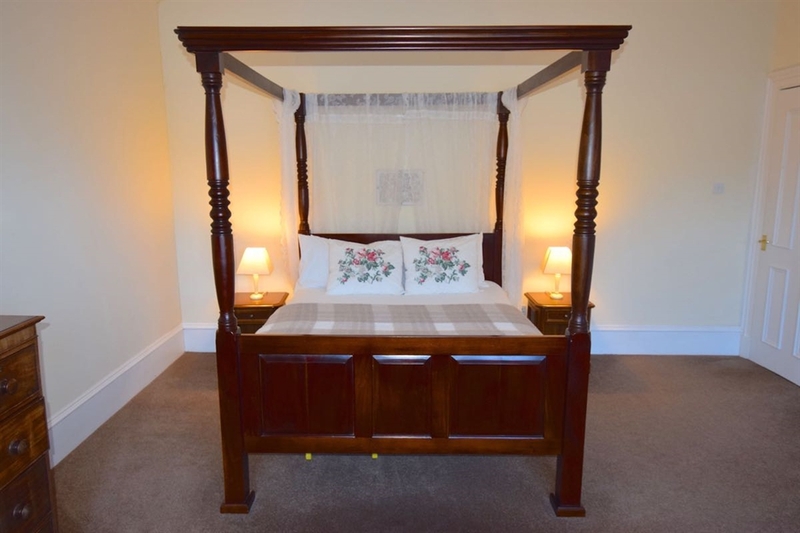 This characterful, 2 story villa offers a good standard of accommodation and facilities while still retaining many of the original Victorian features. 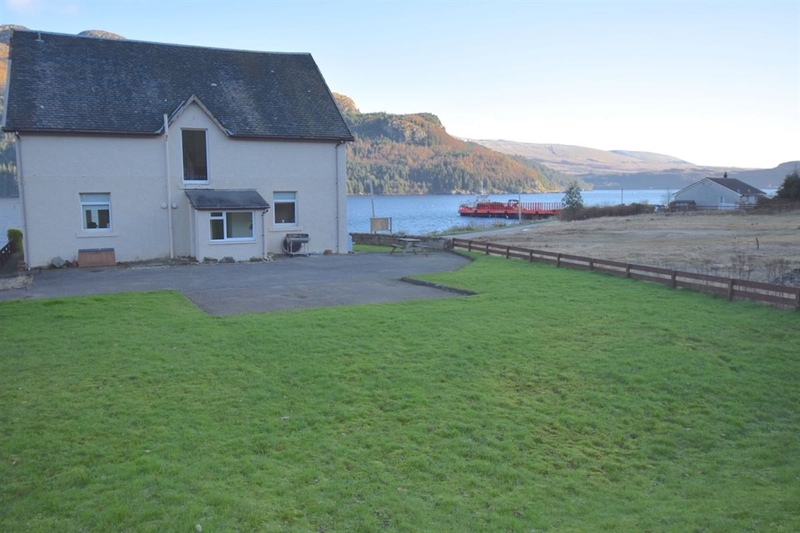 Just yards from your front door you are on the shores of this scenic, tidal sea loch. 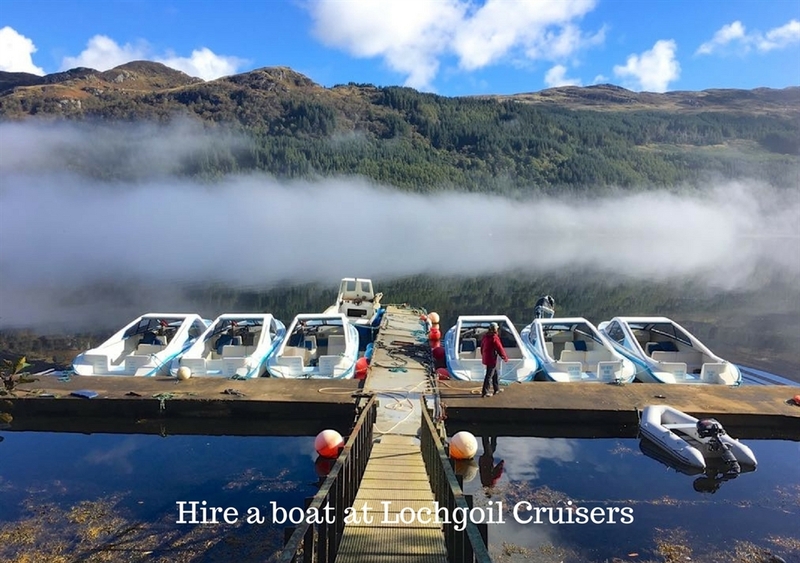 Perfect for fishing, exploring the waters between the rocks with nets and strolling along the quiet loch side road. 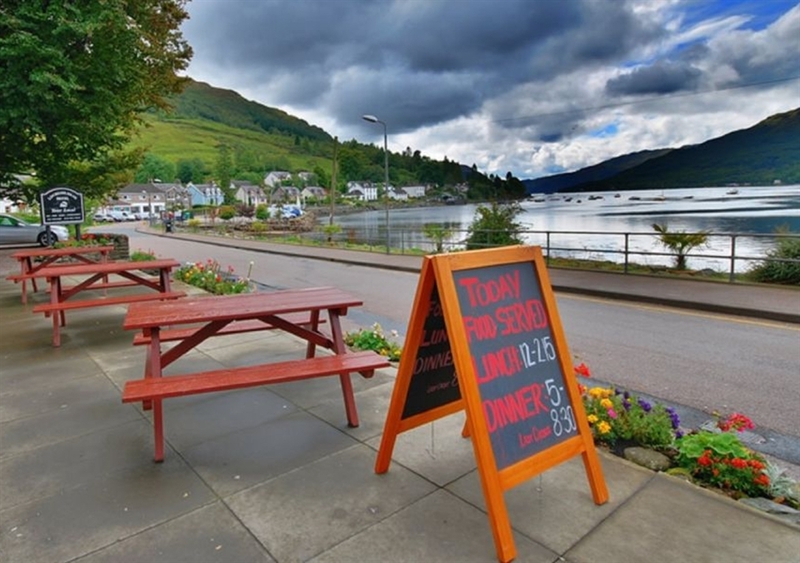 With views north towards Lochgoilhead, south to the entrance from Loch Long and mountains all around, this is a scenic and peaceful place to stay. 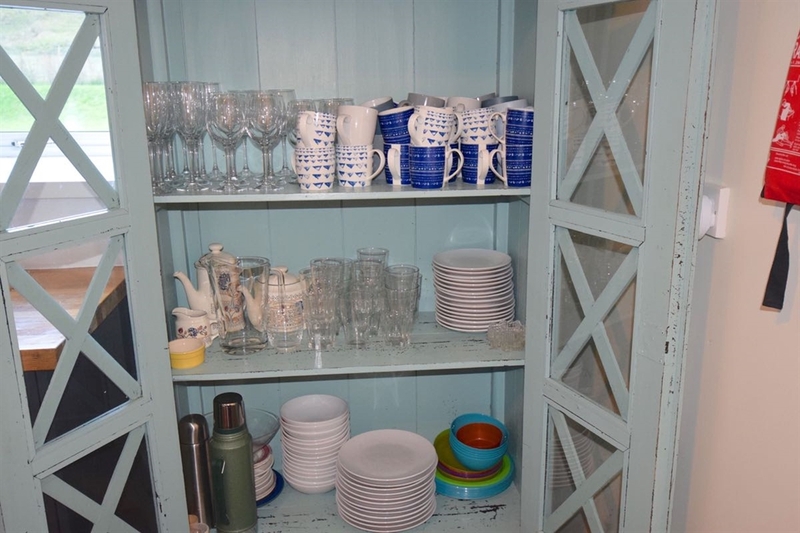 Entry from the roomy, off-road parking area to the rear of the house with space for 3 or 4 cars, is via the back door, leading into a porch area. 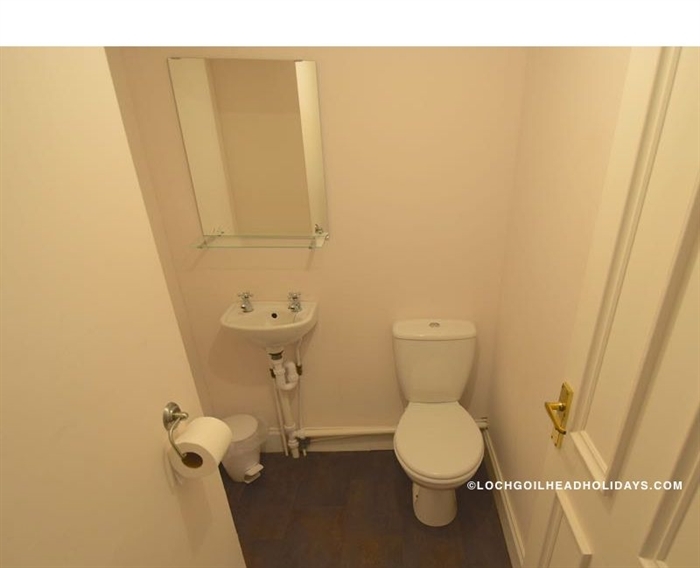 Carry on into the house to the spacious hallway where you will find a WC cloakroom and a broad, dramatic staircase. 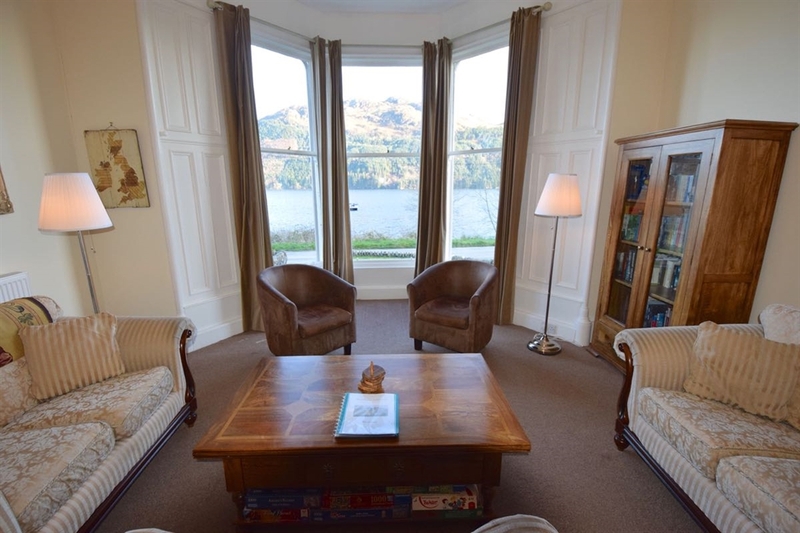 The drawing room is at the front of the house with a magnificent bay window giving you a full sweep of the ever changing panorama. 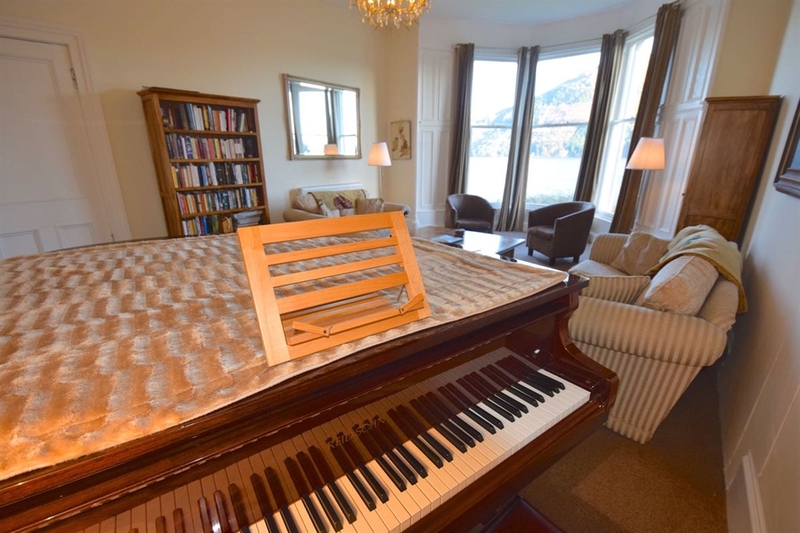 This is the place to relax and socialise - with a baby grand piano, you can even enjoy live music if anyone in the party plays! 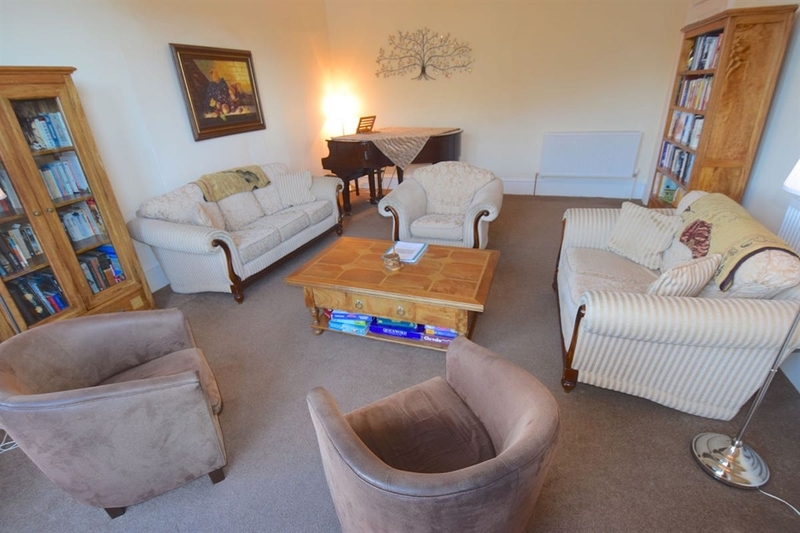 At the rear of the ground floor is a TV/games room with a 32" TV, DVD, iPod docking station as well as a selection of board games, plus mountain and loch views for added distraction. 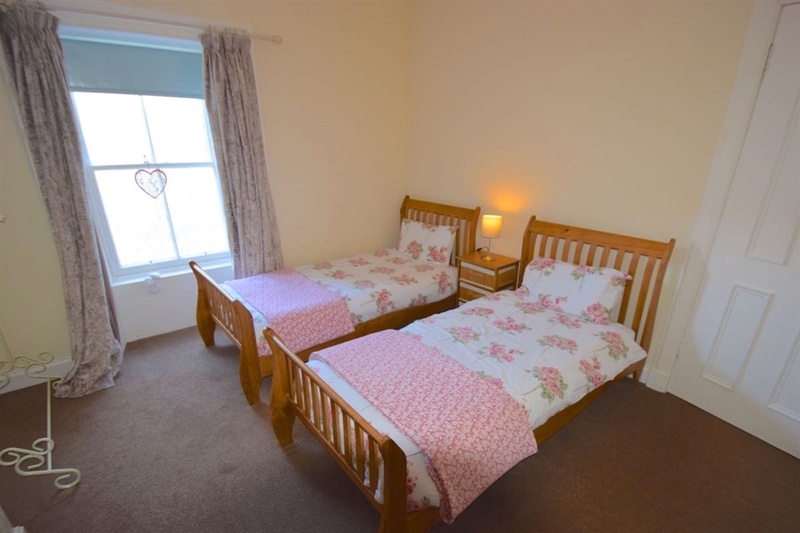 There is a single bed in the room to sleep a 9th guest. Please be aware that if you are a larger party the TV room has limited seating. 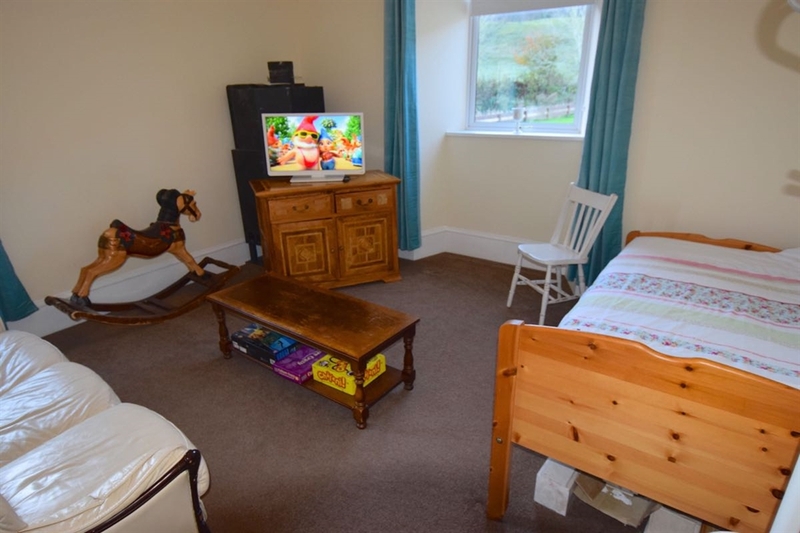 It is ideal for some of your party to have a quiet room to watch TV. There is no TV in the main lounge. 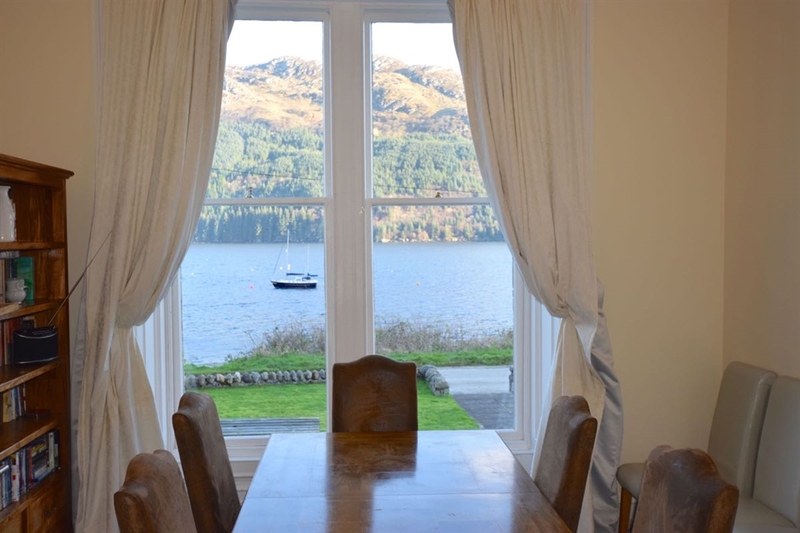 Across the hall is a separate dining room with a table for up to 8 guests, who can also feast their eyes on the view of the loch and the 14th century castle through another huge window. 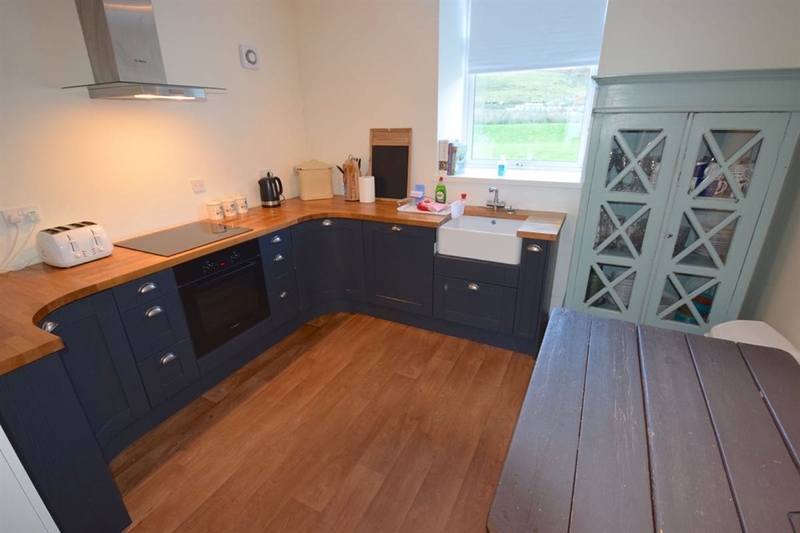 The modern kitchen is behind the dining room and is fitted with all the appliances, crockery and utensils you will need for a self-catering holiday – it also has views across fields to the farmstead behind and up onto the mountainside rising beyond to distract you from the washing up! 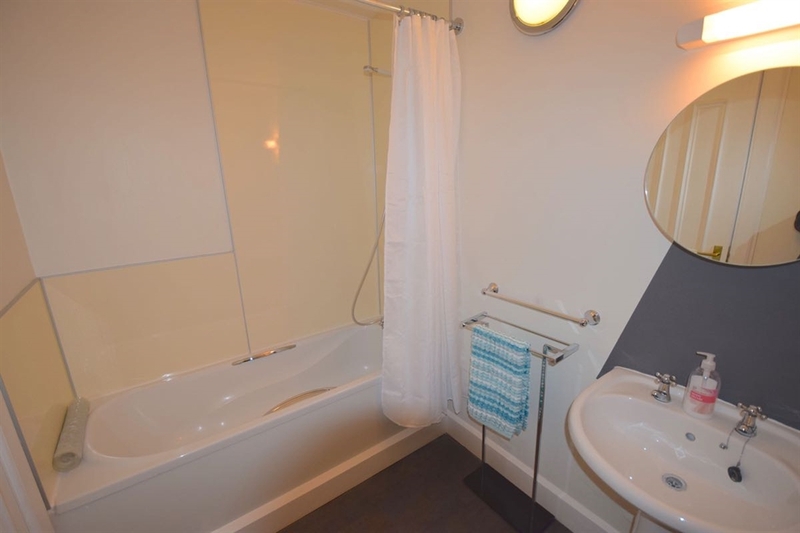 Bedroom 1: 4-poster bed, loch view, en-suite shower and WC. 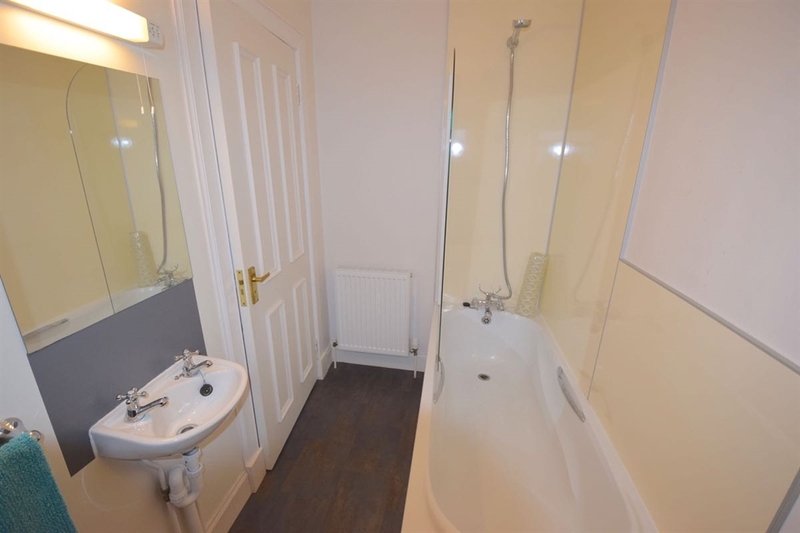 Bedroom 2: double bed, loch view, en-suite bath with shower over bath and WC. 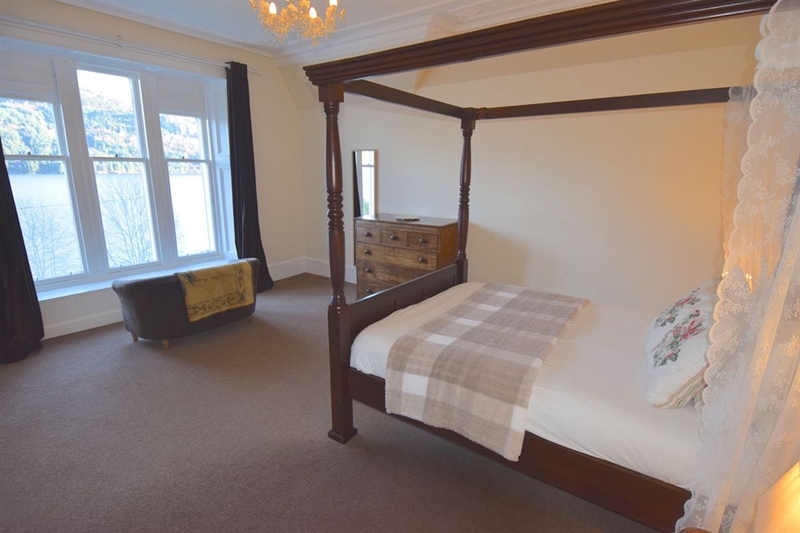 Bedroom 3: sleigh style double bed plus single bed, mountain and loch views. 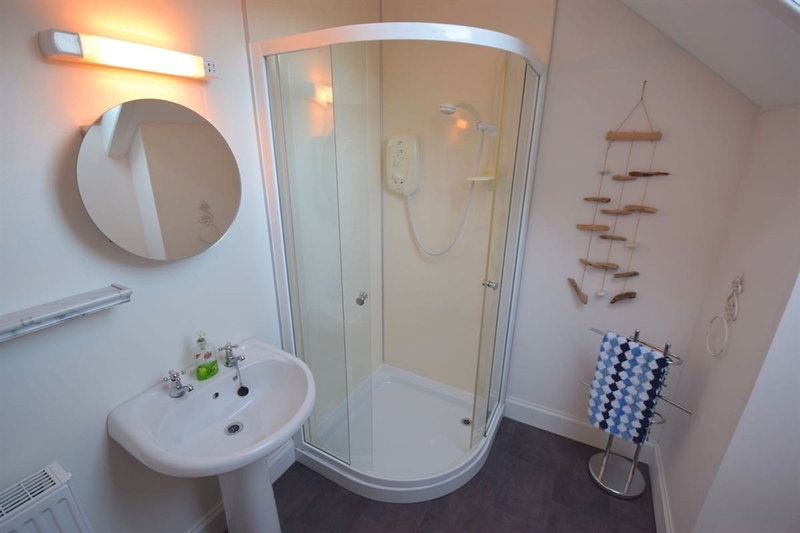 Family bathroom with shower over the bath and WC. One well behaved dog is welcome. Please be aware that your dog is not allowed upstairs in the house. 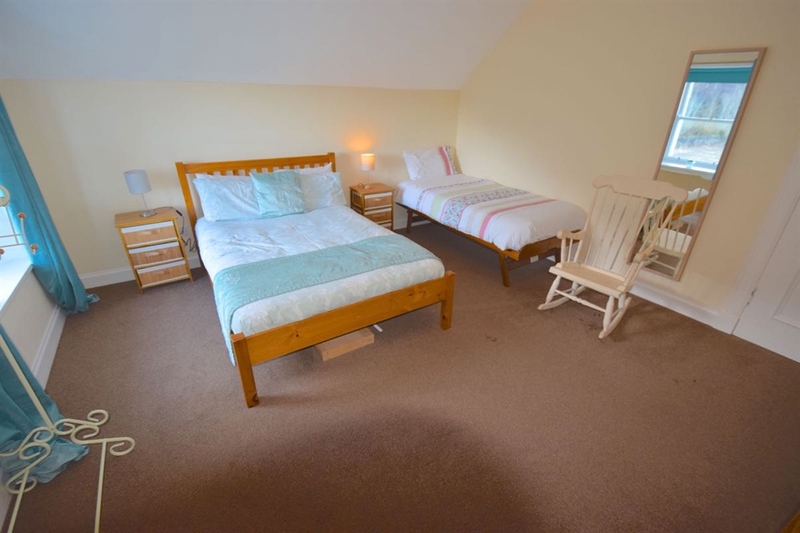 £30 per stay. 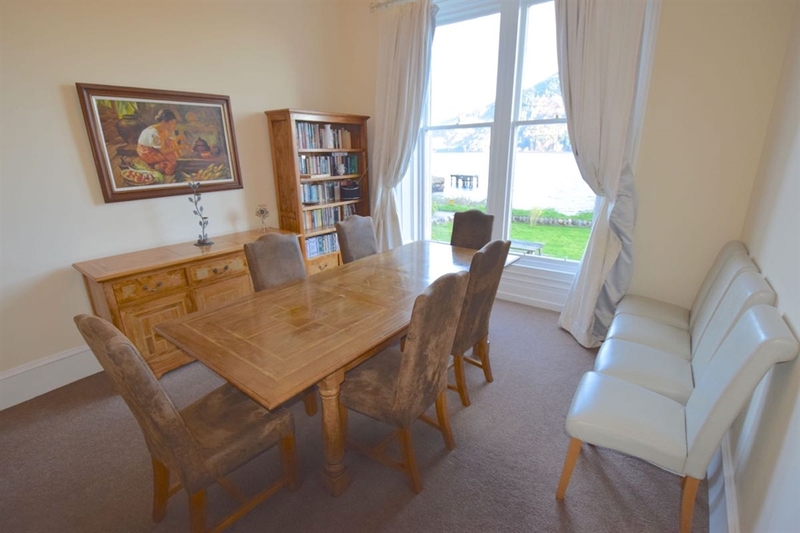 Beach House has a raised patio area at the front of the house with a viewing bench and steps down to a lower lawn, which finishes just yards from the bank across the lane with further steps down to the high tide mark. 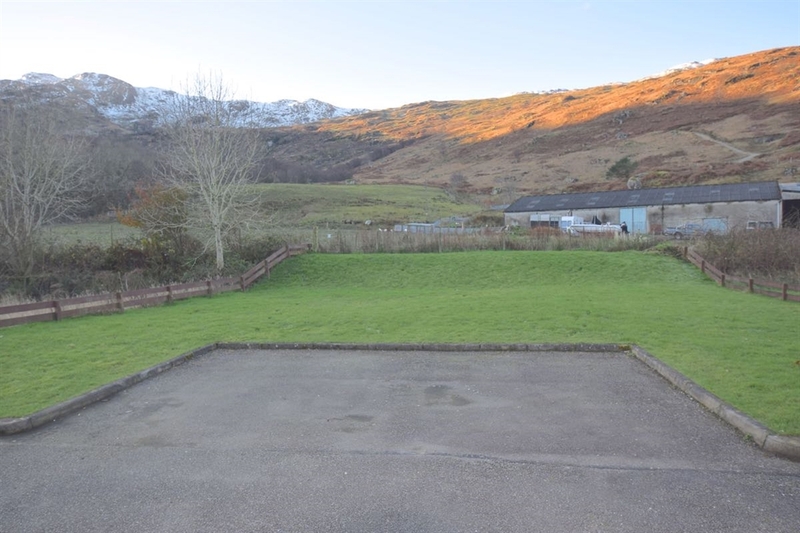 There is a grassy area to the rear beyond the parking area, with extensive open views to the surrounding mountains, in the middle of which the house nestles as if in a bowl of green and purple peaks. 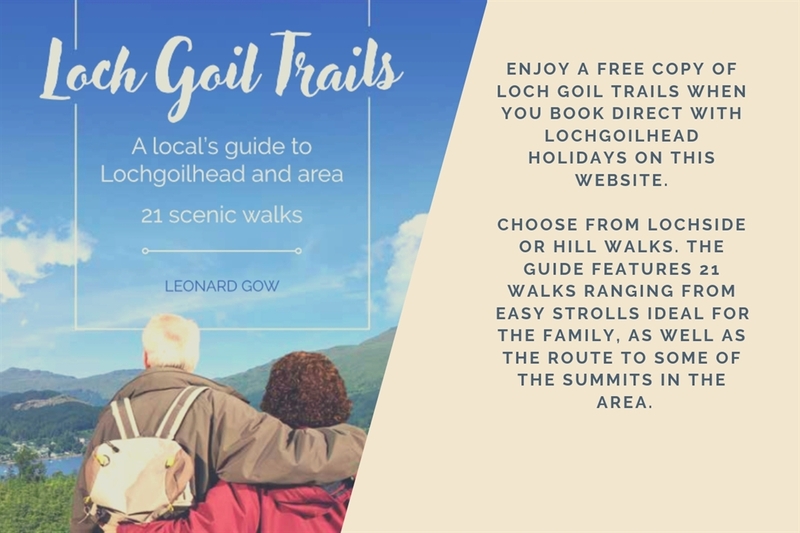 Straight out of the front door, there are low level coastal walks along the side of the loch round to the next villages in each direction; mid level forest walks across the face of the mountains; and high level peak walks over the tops – not for the unprepared or the inexperienced at this level though. And bring your binoculars! Depending on the time of year the gannets put on a marvelous display diving for fish, and you can look out for seals, which are common. The oyster catchers are great fun running frantically around on the foreshore, stopping to thrust their long, bright red beaks into the ground; the hooded crows are fascinating as they fly up with shellfish and drop them onto the road and the rocks to break them open; deer are regular visitors to the shoreline in search of seaweed; and a rare red squirrel has recently been seen scampering along a bridge parapet barely 50 yards from the house. Porpoises are also regular visitors to the bay and in the last two years there have even been sightings of what are believed to have been minke whale. No matter what, you're in a perfect spot to look out for all of them with easy access to the shoreline, the woods and the mountains. We have to admit that the beach is not golden, tropical sand but primarily pebble and shingle, although there are sizeable areas of sand exposed as the tide retreats. However, the nooks and crannies among the rocks and the clarity of the water make for fascinating exploration territory as you paddle along the waterline, following the tide out and back – getting the kids back in for meals can be hard work! There is a collection of 'House Wellies' in a variety of sizes in the back porch to facilitate such adventures, even for those who only brought sandals – the water can be chilly on the toes and nobody comes to Scotland with a plan to lounge around working on their tan now, do they! 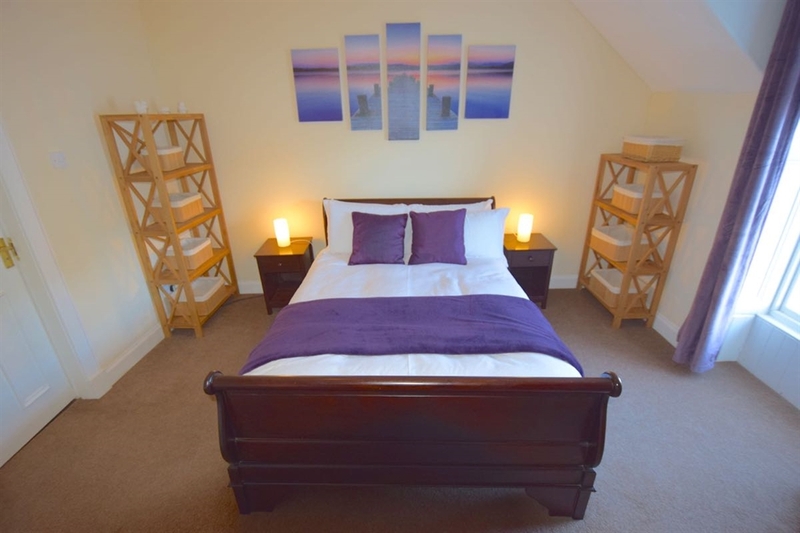 Who will enjoy staying at Beach House? 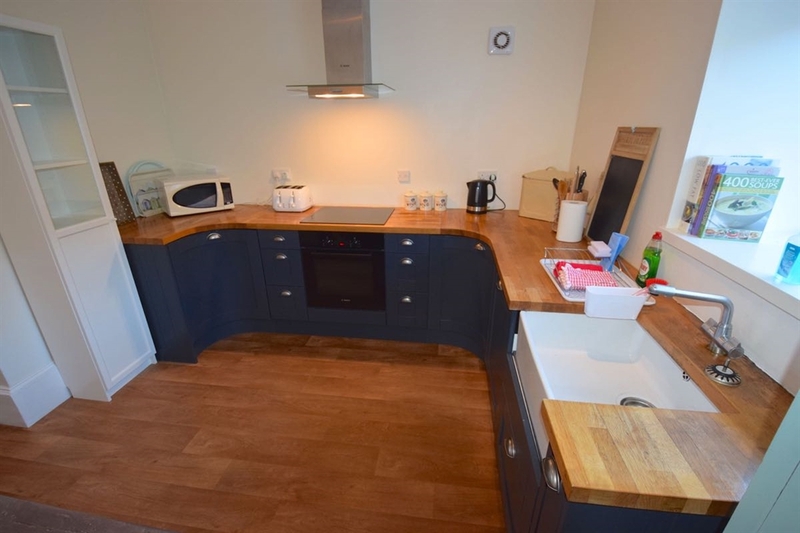 This spacious and well-appointed house will be ideal for larger families or groups of friends looking for good facilities within the property in a get-away-from-it-all location. 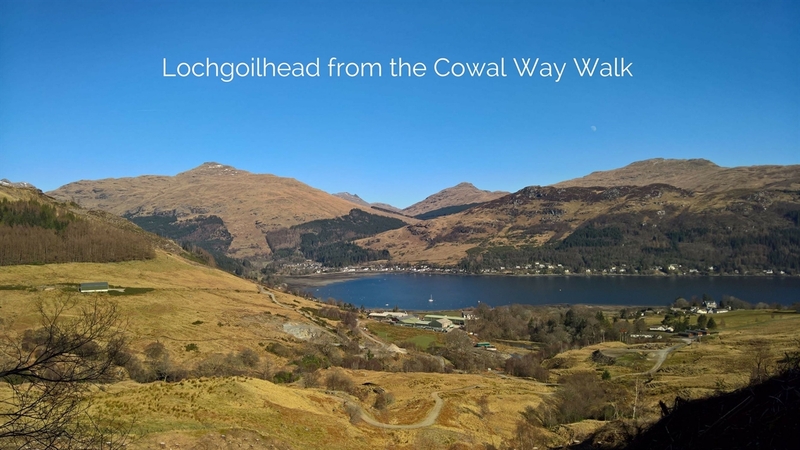 Carrick Castle is at the end of a 5-mile single track road from Lochgoilhead, which is 5 miles down a single track road from the high point in the pass through the Arrochar Alps known as Rest And Be Thankful. 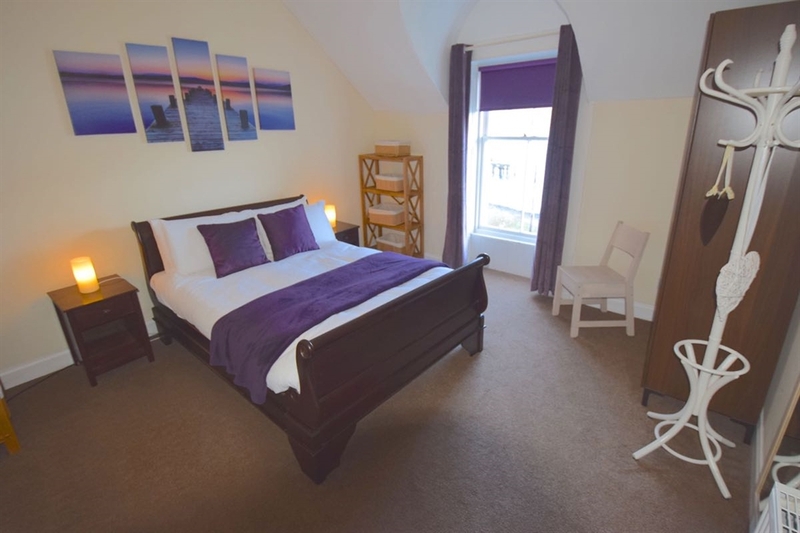 Having made the effort to get here, Carrick Beach House is the ideal base for enjoying time together as well as getting out on foot and exploring what the area has to offer. 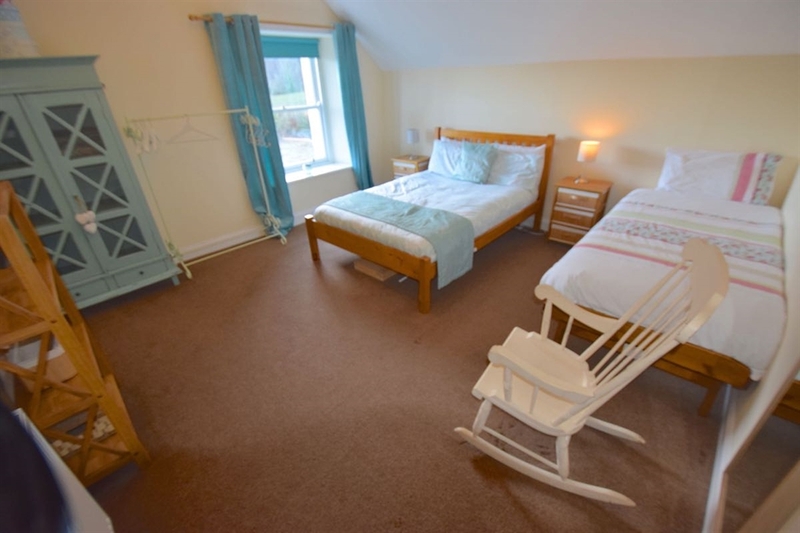 This is a place for people looking to enjoy a family holiday, a get-away-from-it-all break or perhaps a special birthday or anniversary. 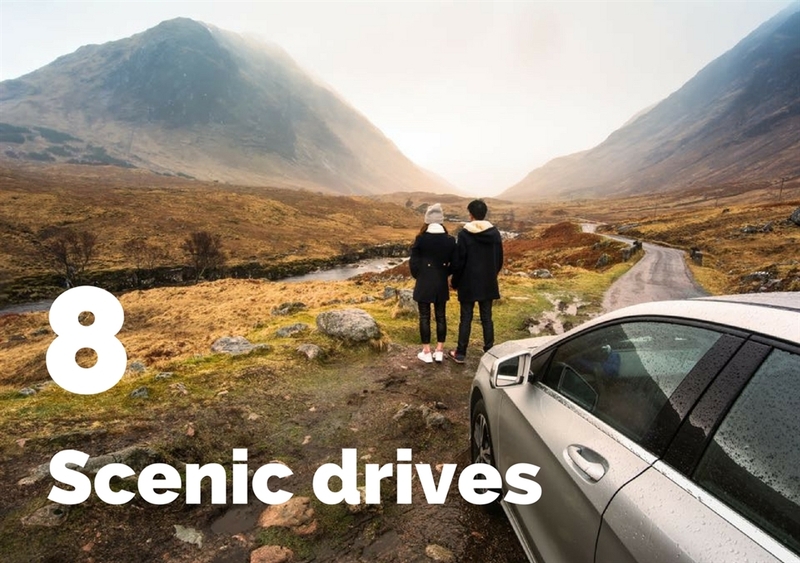 You can be as relaxed or as energetic as you wish; you can choose the pace of life that you want to live for a truly magical break in a world that really does seem to be somewhere else entirely, in the house on the beach at the end of the road. You are required to provide a Credit / Debit Card prior to being sent the key safe code for your arrival. Pre-authorisation of funds is for £100. This authorisation will be removed from your card after departure provided that Beach House is undamaged, clean and tidy.